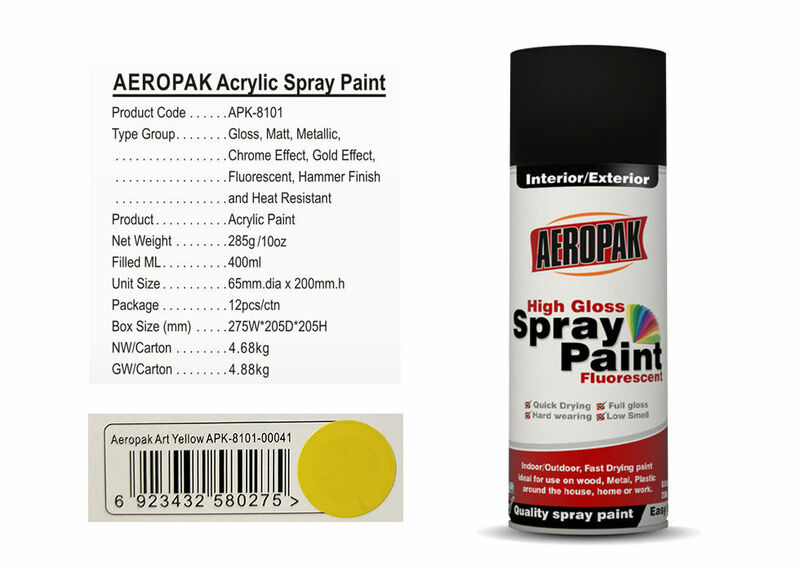 AEROPAK Spray paints are well known for its superior quality, excellent covering and fast drying, for internal and external use. The 100% acrylic formula is able to withstand humid and cold conditions. With 100 colors in total, AEROPAK offers one of largest and accurate color range available in spray paint. spray paints can be used on Metals, Plastics, Wood, Concrete or even Glass. Standard Colors, Special Colors, Matte Shades, Metallic Shades, Fluorescent Shades are available.